A collection of the fascinating large breeds which have feathered shanks and toes and very fluffy plumage giving a massive appearance. 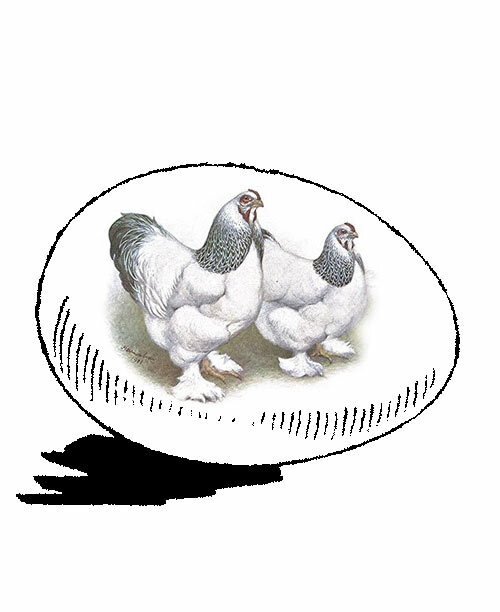 Our choice which will include at least 5 different kinds of eggs from these: Buff, Partridge, Black, Blue, Silver Laced, White Cochins; Black and White Langshans; Buff, Dark, Light Brahmas; Salmon Faverolles. These breeds all came from China except Faverolles which are French. We are not able to ship eggs to Canada.